A stable and prosperous nation on the north-western border of French India, and within the French sphere of influence, Afghanistan is a source of top-quality mercenary troops for the French military. This is an arrangement that has served both nations well for many decades and that grew from a number of stalemated Franco-Afghan clashes in the nineteenth century. Following these - and helped by means of bribery and influence - both sides came to realise that they could benefit more from cooperation the continuing conflict [not unlike the case with the Gurkhas in Nepal, in both this and the real world]. Because Afghanistan is an ally of France rather than a tributary state of it, it has a strong military of its own. As such, Afghans tend to look down on the Indians, who they see as inferior due to their being under French control. Afghan troops serve a similar role in French India to Sikh ones in real-world British India. The prosperity of Afghanistan arises from a number of sources. The largest of these is the exploitation of its rich mineral, oil and gas wealth via a number of Afghan-Ottoman and Afghan-French consortia. Industry, much of it owned by Ottoman companies through the strong Afghan-OSU ties built up in recent decades, also accounts for a good deal of Afghanistan's income, as do fees for the services of soldiers (though these are limited by the nature of the Afghan agreement with France, which prevents them for providing military service to governments other than those of France and its allies), as well as the products of Afghan agriculture. Over the decades, Afghanistan has maintained its independence under its ruling Jadoon Dynasty despite the political machinations of both France and Russia (particularly UER Russia) in this world's equivalent of the Great Game. It has also contributed its own machinations to the political developments of Central Asia. As part of this it has used the wealth and thus the military power gained from its association with France to expand by invading and taking control of a number of its smaller neighbours and has fought a number of minor wars with its larger ones, in particular Persia and Tajikistan. Border skirmishes are common between it and its neighbours. Some of the territories it has conquered have been successfully integrated into the Sultanate, but in others succession movements and terrorism cause continuing problems. All of this makes the country significantly larger than it is in the real world, and it retains control of the Punjab; its greater stability and prosperity also mean it has a much larger population than in the real world. The country, and in particular its western regions, has a significant Persian population derived from the many refugees who fled there following the Russian invasion of Persia in 1844 and the subsequent Persian War that lasted until 1851. These Persians are largely integrated with the Afghan population, but there is still occasional tension and unrest from both sides, particularly during times of tension and war with Persia itself. Islam is the state religion of Afghanistan, although many other religions including Buddhism, Hinduism and Christianity are practised there. Politically the country is a nominally absolute monarchy ruled by its Sultan from the capital of Kabul. The power of the Sultan is balanced by that of the Loya Jirga [Grand Council]. This is made up of representatives of the religious leaders and tribal chiefs of all of the people of the country, and makes decisions by consensus. It would be impossible for the Sultan to maintain control of the country without the cooperation of the Loya Jirga. Overall this gives Afghanistan what is essentially a feudal system. The same structure of Jirga [Assemblies] making decisions through consensus applies down through Afghan society down to the village and district level. Jirga also act as judges and arbitrate legal and other disputes, with the Loya Jirga acting as the highest court in the land. Overall, the Jirga make decisions based on the principles of Pashtunwali, the unwritten traditional ethical code that has spread from the Pashtun people across the country. Despite this, Afghanistan remains one of the more sexist nations in the world, with women being very much second class citizens [though nowhere near as much as is the case in the real world]. Because of the highly tribal nature of Afghan society, when agreement cannot be reached by other means it is sometimes rocked by struggles between different tribes, or between the tribes and Sultan. These struggles can be brought to a rapid halt by any attempt by outsiders to take advantage of the situation, when they invariably unite against the interloper. All of this helps to keep the Afghan military strong and capable. There is some degree of tourism in Afghanistan, exploiting the long history of the country and its ancient sites such as the Minaret of Jam and the Bamiyan Buddhas. This is helped by the long-standing Afghan tradition of hospitality, which forms part of Pashtunwali, but can be hindered by the often strict codes of behaviour expected of guests. Afghanistan has an extensive railway network, built on the French Colonial Gauge. It links into the rail systems of Baluchistan, Bandaristan, Peshawar and Punjab in French India, and includes a line that goes over the Khyber Pass as well as numerous other mountain railways. The country also has extensive irrigation systems [these are much more extensive and better maintained than those of Afghanistan in the real world, and are essential for the support of the Afghan population]. The vast majority of the Afghan military is land-based and consists of the various elements of it army. Afghan military skycraft [aircraft] are used as part of the army rather than being a separate service, and the lack of navigable waterways in the country means that it has no navy, although hoversleds [hovercraft] are used to patrol rivers [which are largely dry for much of the year] and other sufficiently flat areas. The flag of Afghanistan is similar to the flag of the Afghan Durrani Empire. 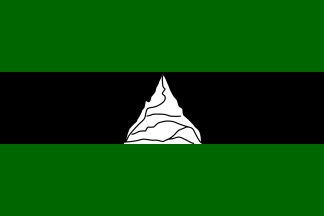 It consists of three horizontal bands of colour, the centre one being black and the top and bottom the green of Islam; this differs from the Durrani flag in that the centre band is black rather than white, and that a different shade of green is used. In the centre of the black band is a stylised snow-capped mountain, representing the country itself and its triumphs and the heights to which it has climbed. Alyeska and Siberia, similar places, with low populations and similar origins, were thrown together when Russia abandoned them in the UER period, and allied into the Alyesko-Siberian Federation (ASF), with its capital at Petropavlovsk in Kamchatka [the city was founded in 1740]. It is an oligarchy, run by a Duma of the local nobility. The Kamchatka Road runs up the Kamchatka Peninsula from Petropavlovsk to the rest of the ASF. The city of Beringgrad, a major Alyeskan city, stands on the site of real world Vancouver. The city of Valentingrad stands on the site of real world Seattle. The ASF makes heavy use of skycraft and hoversleds [hovercraft], as they are best able to cope with the varying ground and weather conditions over the course of the year, as well as various types of low-temperature technology. Because of the heavy use of hoversleds, the most common form of road that criss-crosses the ASF is simply a straight cleared path across the landscape suitable for hoversled traffic, although remaining unsuitable for other forms of ground vehicle. The flag of the ASF is a horizontal tricolour with a wide blue band at the top (representing the waters) and a wide green band at the bottom (representing the land and forest) separated by a narrow white band (representing the ice and snow of the north). Annam [Vietnam] is a state in the east of south-east Asia that forms part of the French Empire, with an economy based on agriculture and mining, particularly of coal. It has a large Catholic minority, more so than other French colonies in Asia. It capital is the city of Hanoi. A landlocked state in the north-east of India, with an economy based on agriculture, petrochemical extraction and silk. Its capital is the city of Itanagar. It is one of the minority of Indian states in which Nayaa Rasta (the New Way) is the official religion. A largely Muslim state in north-west India well know for its merchants and many religious schools. Its capital is the city of Karachi. A largely Muslim state in the very north-western extremity of India, its name derives from a confusion of the Persian word for port or haven with the people who live in the area. A large territory within the French Empire whose people are roughly equally divided between Hindu and Muslim, making it the scene of occasional religious violence. Largely agricultural, Bengal is ruled from its capital of Dacca [Dhaka]. Bengal has been badly affected by the increased storm activity and rising sea levels resulting from man-made climate change, which has greatly increased rates of coastal erosion. This has particularly affected the coastal mangrove swamps known as the Sundarbans. As such millions of people have been displaced from its coastal regions as they literally disappear into the sea. These displaced people are a major problem for the government of Bengal, and to a lesser extent to the governments of the neighbouring states of Orissa and Tripura, and to the French enclave of Chandernagar. All of these have resettlement areas - most of which are basically slums - in which displaced Bengalis now live. As part of this there have been numerous instances of violence between refugees and locals. A separate Himalayan nation, which exists as an entity within the French Empire, which it had little choice but to join in the face of Thibetan aggression. Its capital is the city of Thimphu. A state much reduced in size from its greatest extent by French interference in Asia, particular in its support of the Mon people and the state of Tripura which led to the erosion of Burma to its current size. Primarily an agricultural producer, the capital of Burma is the city of Myitkyina. A Union enclave on the coast of eastern India, originally settled by the British. In the present day it is something of a backwater [not unlike French Pondicherry in British India], but the Union do maintain a military presence there and a number of Union companies that trade with India have bases there. However, most of the trade to the region passes through the much larger port and city of Chandannagar which lies somewhat upriver of it [a reverse of the case in the real world]. The differing laws of the Union and Orissa and Bengal, with which it shares borders, mean that there are issues with smuggling in and out of them. However, given the vulnerability of Calcutta to military action the Union authorities attempt to keep the level of smuggling to a minimum. Its position in the heart of India does mean that Calcutta also has a low but constant level of espionage activity taking place within it. A largely Hindu region within the French Empire in the east of the southern tip of India. It came into the French Empire to protect itself against the aggression of Mysore, with whom it has fought a number of wars down the years. As with many other Indian states, the economy of the Carnatic is based on agriculture. Its capital is the French colony of Pondicherry. The Circars Nordique (Northern Circars) are a group of five Indian states, Chicacole, Rajahmundry, Ellore, Kondapalli and Guntur, which form an entity within the French Empire. The economy of the Circars is based on agriculture and fishing. The capital of the region is the city of Yanaon, a region the French have owned since the eighteenth century. The wetter half of the Kazakh lands. Kazakhstan split into eastern and western regions after a severe drought, particularly in the west, forced people east. The easterners, also suffering, resisted these incursions, leading to civil war, a split nation, and bad feelings that persist to the present day. Steam-powered armoured cars - now known as Cossacks - were invented during this conflict, finding effective use of the Kazakh steppe. The Evenk Republic was founded by ethnic Evenks who took advantage of the chaos of the Sino-Siberian War to found their own nation where their ways would be preserved. It is rumoured that this was with the help of the Russian Empire. For a long time it was a poor, sparsely populated land, though a democratic one, with its government in the capital city of Buga-Lamu ['Seatown', roughly on the site of Atargan in the real world]. However, it has acquired a large minority of Koreans who fled there during the Long Chinese invasion of the Korean Peninsula, to the point that the Evenks no longer have total control of their own land, a situation that causes tensions and sometimes violence between the Evenk and Korean parts of the population. Because of its position adjacent to Long China, despite its poverty it is highly militarised, and receives a good deal of covert help from the Alyesko-Siberian Federation. Some Long Chinese maintain bank accounts and other things that are frowned upon by the Long Chinese government there. One of France's two colonies in what was mainland China, covering roughly the states of Jiangsu, southern Shandong and northern Zhejiang of the real world. Its capital is the city of Shanghai, which is also a major French military base. When France acquired La Chine Du Nord Française it was necessary to develop it to make it viable. As such the French spearheaded agricultural and then industrial development of the colony. This sucked in immigrant labour from Manchu China, a process that continues to the present day. La Chine Du Nord Française has a significant constant, if fairly low, level of unrest arising from nationalistic and anti-foreigner political and terrorist groups that wish to restore it to Chinese control, but this is considerably mitigated by the prosperity of La Chine Du Nord Française compared to that of Manchu China. The other of France's two colonies in what was mainland China, including the island of Hainan and a mainland region covering roughly the state of Guangxi of the real world. Its capital is the city of Haikou on Hainan, which is also the location of a major military base. La Chine Du Sud Française is rather less industrialised than La Chine Du Nord Française, but other than this it has had a similar history of development and influx of migrant labour as La Chine Du Nord Française. Like La Chine Du Nord Française is has a constant low level of nationalistic and anti-foreigner unrest mitigated by the prosperity of the colony compared to that of Manchu China. A Portuguese enclave on the west coast of India, now part of the Comunidade Portuguese. Its economy is based largely on trade in and out of India, with lesser contributions from mining, agriculture and fishing. The Comunidade Portuguese also maintains a military presence in Goa. A small state in northern India named after its Indou [Hindu] ruling family, who originate from considerably further south, in central India. Although the Holkars themselves are Indous, people of many faiths exist side by side in Holkar. Holkar itself exists as an entity within the French Empire. A large and relatively powerful state in south-central India, mostly Indou [Hindu] but with a significant Muslim minority, including its ruling family, the Asaf Jah Dynasty, from which the ruling Nizam always comes. Its capital is the city of Hyderabad. It exists as an entity within the French Empire. 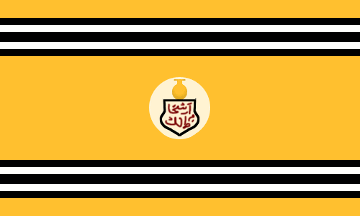 The flag of Hyderabad is that of the Asif Jah Dynasty. It consists of a saffron field in the centre of which is a white disc representing a kulcha on which is written 'Nizam-ul-Mulk Asif Jah' in Urdu. Above and below this are two horizontal bands of three black and three white bands each. This is a slightly simplified version of the original flag, which had additional wording at the top of bottom of the flag. The Indian sub-continent is split into many nations formed from the princely states and other independent regimes that existed before the coming of the Europeans, and there is no overarching Indian national identity. None of the nations of India are democracies. Other than that they have various types of regimes and national religions, and are at various levels of development. There have been wars between them. The French-controlled Indian and south-east Asian states all have trade treaties with France, ensuring free trade between themselves and France, as well as French investment to build up local industries that the French consider to be important (mainly agricultural), and guarantees of the free transport of French-owned goods through their territory. They also have defensive treaties with France, to protect themselves from external threats, and to provide troops to France in case of need. On the other hand they are free to monitor and protect their own borders (although the French normally have a special dispensation of some kind), and to engage in wars against one another (as long as French interests are not harmed) should they so desire, which they frequently do. This is often encouraged by France, as part of its policy of keeping the Indian princes and other rulers as disunited as possible, to keep them weak and dependent, as well as interested in purchasing French military equipment. As a whole the Indian states are ruled by France under a system of suzerainty. That is, they are tributary states of France, which controls their foreign affairs while allowing them a varying degree of domestic autonomy. This state of affairs developed following the Popes War in the early years of the nineteenth century, when the French government wished to avoid a repeat of the unrest and trouble the Popes War caused. The Indian states over which France has suzerainty have a French Résident who lives in the state, with their staff, and who is the representative of the French government in that state. Résidents are normally diplomats or military officers and effectively run the state via indirect rule through the native government and under the auspices of the Ministère des Affaires Étrangères [Foreign Ministry]. Under the Résident there are normally a number of Commissaire [Commissioners] who are responsible for different aspects of French interests in the state. Because of France's physiocratic economic policies, India has developed as a source of agricultural wealth rather than industrial. Thus India is the food-basket of the world. Working Indian elephants are used across the French Empire. France maintains relatively low levels of taxation on and French ownership of Indian industry (including agriculture). This helps maintain the prosperity of the Indian states and minimises the levels of economic unrest there [in contrast to the Dutch Nederlands-Indie where relatively high levels of taxation on local industry and Dutch ownership of it make the East Indian states more impoverished, and levels of unrest higher]. France keeps the Indian princes and so on as disunited as possible, to keep them weak. There have been a number of attempts to unify India by different local rulers and other groups, but all have failed, though in many cases not without varying levels of bloodshed. Because of the French control of the region, the French language is widely used in India (and indeed in south-east Asia) as the language of trade and politics [filling much the same role in India as English does in the real world]. Related to this, the Indian people have had the use of French-style 'of home'-type surnames imposed on them for the purposes of census-taking. This is also considered by many to be a subtle way of undermining Hinduism by eliminating the caste-based names that helped define the system. As states effectively prevented from waging conventional conflicts by their status as client states under the suzerainty of France, the Indian states do not physically war with one another. They do, however, have conflicts, which are played out in the fields of trade, propaganda, sabotage, sports, science and other non-military wars between themselves [not unlike the case in the Cold War of the real world]. As part of this assassinations are also not uncommon, with the Thugees often suspected of involvement. Pondicherry and Srirangapatnam - both full French colonies - are the largest cities in India. Chandernagore is also a very large French colony in India. All three of these cities have large French military bases. They all also have major Catholic cathedrals whose building began during the Popes War as a form of pro-Christian propaganda, though none of them were consecrated until long after the war had ended. A region ruled by the Mon people, whose support by France enabled them to retake control of their traditional Kingdom from Burma, and expand it into much of what was Burma. Its capital is the city of Magwe. A largely Hindu state in north-western India, Khandesh was originally part of the Maratha Confederacy, and now exists as an entity within the French Empire. It is ruled by the Khan of the Muslim Coyaji Dynasty, founded in 1875 during a period of religious unrest in India by forces loyal to, and supported by, the French. In addition to Hindus and Muslims, Khandesh also has significant Jewish, Jain and Zoroastrian minorities. Its economy is almost exclusively based on agriculture. Its capital is the city of Indhur [Indore]. Khandesh was a test-bed for the breeding of Australian drought-resistant crop plants for agricultural purposes, particularly murnong, quandong, green vine and wattles. Originally this was not taken seriously by their neighbours or by many of their own people, but with the coming of a famine in 1916 caused by the Blight released during the Turkmen War the Khandesh region was able to use these plants to survive much more successfully than the other nations in the region. By selling their expertise to their neighbours they were able to extend their influence and build links via marriage with the ruling families of them; they had French support in this as in French eyes it would help stabilise the region. By marriages and manoeuvrings by 1960 they were able to turn their expertise and political links into a hegemony over their neighbours. Since then they have maintained their political control over the other nations of the region, though not without tensions and conflict. This has resulted in a state in which local affairs are handled by the governments of each district within the hegemony, while defence and external relations are handled by the Khandeshi government in Indhur. Internal but inter-district matters are handled by the Hegemonic Council, which is made up of representatives of each district. The official language of the Hegemony of Khandesh is Ahirani, with French widely used as a second language, but many other languages are also widely spoken there. Khandeshian Jains have lived alongside Hindus and others in the region since time immemorial. The Jews of Khandesh are a mix. Most are Jewish natives of the region, the Bene Israel who have lived there for thousands of years. Others derive from a small 'New Israel' movement that grew out of Israelite Shimshon ben Arieh declaring in 1870 that Liron ben Aviram, the founder of Israel, was misled. Its members saw the long history of Jews in India as a sign that the New Israel was to be found here, with the region in which the Bene Israel - as the most numerous group of Indian Jews - lived clearly being the most suitable. The third group of Khandeshian Jews fled from Persia to India to escape persecution from both the Persian government and that of Russia in Russia's Persian Tongue. Because of their different origins there are occasional tensions and conflicts within the Khandeshian Jewish community. Khandeshian Zoroastrians are a mixture of Parsis - Zoroastrians who have lived in India for many centuries - and more recent immigrants from Persia who, like the Jews of Khandesh, have fled Persia to escape Persian and/or Russian persecution. 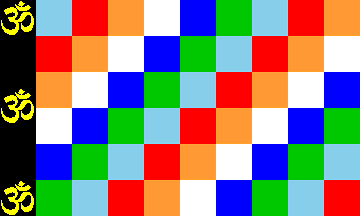 The flag of Khandesh consists of a six by nine grid of squares with diagonal lines of squares in the five colours of Hinduism (red, sky blue, green, white and saffron) plus royal blue (representing Judaism and Zoroastrianism). In addition to this a black bar at the hoist contains three equally spaced sacred Hindu and Jain 'Om' symbols. Long China is the larger of the two Chinas, though with a lower population than Manchu China. It is a militarised state that covers northern China, Manchuria, Korea and parts of Siberia. Its capital is the city of Beijing. The Long Chinese government is very nationalistic, with a system based on a Legalist philosophy. The 'Long' in Long China comes from the Chinese for dragon. Long China has fought several wars in an attempt to regain control of all of China, from both the Manchu Chinese government and from the European nations that control a number of enclaves on the Chinese coast, but has been defeated in all of them. In recent years it has adopted a policy of simply defending the 'true China' from those who would undermine it, using, if necessary, methods such as human wave tactics and the funding of revolutionary and terrorist groups in Manchu China and the European colonies in China to do so. Their technology is less advanced than that of the modern industrialised nations of the world such as those of Europe and the likes of Zululand, though they are trying very hard to both modernise and industrialise. This process is hindered by a lack of funds and the losses they have taken from the various wars they have fought. The national mythology promulgated by the Long Chinese regime has the Han Chinese as the superior race - the children of the Dragon - but a race who betrayed themselves by their lack of a strong law, leading to corruption with all of its undesirable side effects and the eventual fall of the Han from power. Only national unity, will and Law can bring the Han people back to their rightful place as leaders of the world, and the Long Chinese state under the Emperor is the nation that will do this. What is now Long China grew gradually from the work of the political scholar Shao Xueqin in the early 1850s. He wrote a number of texts about the reform of the Chinese system (though he was far from the only person to do so at this time). He considered that China suffered from poverty, weakness and unrest, all of which derived from corruption within and without the Chinese state. In his view corruption encouraged incompetence, and this made the state weak and poor. He saw the key to national improvement as the removal of corruption, with all else following from that and proposed a revival of the Legalist) philosophy of government. The writings of Shao Xueqin were part of the inspiration for anti-opium uprisings in the late 1850s which spread into the Chinese Civil War and that killed millions, ironically including Shao Xueqin himself. Not long after the start of the Civil War, Chinese lawyer Ouyang Suiliang, became interested in the ideas of Shao Xueqin. A technophile, Ouyang Suiliang linked them to the concepts of mechanical and fluidic computing that had reached China from the West to develop what he considered to be a way to make a Legalist system that effectively functioned as a self-correcting feedback-using fount program [using methods analogous to process control or finite-state machines]. He published these ideas, which became known as Neo-Legalism, but in the unrest of the Chinese Civil War also became a refugee. To survive, Ouyang Suiliang 'volunteered' for (in reality was press-ganged into) the army of General Jia Fai, a high-ranking leader of the Chinese rebels. His skills led to him becoming an administrator, and gave him a chance to apply some of his Neo-Legalist ideas to the situation in which he found himself. They worked, and he came to the notice of General Jia Fai, leading to his ideas being adopted across the army. In time, helped by the ideas of Shao Xueqin and Ouyang Suiliang, the army of General Jia Fai was able to take control of and effectively govern an area of China. They were able to do this because the neo-Legalist system made their rule (be seen as) just and so the people supported them rather than simply fearing and enduring them as they did the other armies who had fought over their lands. This allowed their area of control to gradually expand until in 1867 General Jia Fai was able to unify the rebels into a single army, and force a settlement that ended the Chinese Civil War. The general began a new dynasty, the Long [Dragon], with its capital in Beijing and himself as Emperor, using a governmental system based on the Neo-Legalism of Ouyang Suiliang, who became a high-ranking Minister in the new government. Despite this a weak French-supported Manchu China remained in existence in the interior of southern China with its capital in the city of Xian. However, Long China was seen as having the Mandate of Heaven and because of this, and despite brutal attempts to stop them, large numbers of Chinese fled the increasingly oppressive Manchu China for Long China while large numbers of Manchus and Mongolians who suffered persecution from the largely Han Long Chinese government fled Long China for more hospitable areas such as Mongolia or the Alyesko-Siberian Federation. With the stabilisation of the Long Chinese regime, its government began attempting to inculcate the ideas of Neo-Legalism into the Chinese people, initially by itinerant teachers, many of them former soldiers, and with the aid of leaflets for the illiterate that used cartoons to get the point across as clearly as possible. This proved to be reasonably effective, Neo-Legalism bringing calm to most of Long China. The Neo-Legalist system was introduced in stages to ensure that the nation and people could adjust; this was done via a series of six year plans. It took more than one generation to inculcate the Neo-Legalist system into the entire population to the point of it being effective, though obviously it is still not perfect. There was much starvation in the early years of Long China as people came there from elsewhere in China - too many for the land to support. In the end population pressure drove conflict between Long China and the Alyesko-Siberian Federation, leading to the Sino-Siberian War that ended with the loss of a good deal of territory by the Alyesko-Siberians. Population pressure also drove the invasion of Korea and its absorption into Long China, with the majority of its population being killed as a matter of Chinese policy [this was essentially a Korean genocide, although that word in not used here] leaving a tiny minority inside Long China with the remainder fleeing into Japan, La Chine Du Nord Française, the Evenk Republic or the Alyesko-Siberian Federation, where many of them fund anti-Long China groups inside and outside Long China to this day. Following a coup that overthrew the Manchu Chinese government in 1898 only French intervention stopped Manchu China merging with Long China and restored the status quo at great cost to both Chinas. The poor showing of Long China in this crisis led to a number of reforms of the Neo-Legalist system to be put in place, greatly improving it. All through this time the Long Chinese government covertly funded anti-European and pro-Long China propaganda and terrorism throughout Manchu China and other places with ethnically Chinese populations. This eventually led to the punitive Long War against Long China which only ended in 1916 with a largely bloodless coup with the support of much of the Long Chinese military and bureaucracy that removed the Long Chinese Emperor from his throne and replaced him with his younger brother, who negotiated an end to the war in return for paying reparations and no longer funding terrorism. A number of other changes to the Long Chinese system were introduced following the Long War, in particular relaxation of the strict central control of the Long Chinese economy and the (re-)introduction of a (regulated) free market economy in part to help achieve the aim of Long Chinese self-sufficiency. Despite these changes the cost of the Long War crippled the development of Long China for decades. Only in recent decades has it begun to build its strength once more, making slow steps towards becoming a world-class power. Although official Long Chinese policy is to expand the country to encompass all of China and beyond, with the deeper and deeper entrenchment of the Neo-Legalist system into the Long Chinese psyche the more and more difficult it becomes to incorporate outsiders into the system. This would doubtless be a problem were Long China to attempt to take over (for example) Manchu China. The government of Long China is based on an ideology of survival, Zìlìgēngshēng [Self-Reliance; a system of self-sufficiency (effectively autarky)] and nationalism. All of this is derived from a desire to reverse the failures of China's recent past and prove to the world that China is the greatest of nations, as well as make it the greatest of nations. The need for all of these things in a world that Long Chinese perception and propaganda paint as hostile to the Chinese as a whole and Long China is particular is used to justify the harsh Long Chinese regime. It also makes most of the people of Long China more than a little xenophobic. Long China is nominally a ruthless absolute monarchy, with the nation ruled by the Long Dynasty Emperor under the Mandate of Heaven, and the Emperor and most of his government being of the Han ethnic group. In reality, the country is ruled by a triumvirate of the Emperor and the two Imperial Censors, with the three of them jointly exercising the powers of the head of state under a directorial system. Personnel. This ministry is responsible for the running of the Long Chinese state. As such it handles government appointments, the merit ratings, promotions, and demotions of officials, and the granting of honorific titles to individuals both inside and outside the government. As part of this it manages the Long Chinese education, medical and welfare systems and the Imperial Examinations. Since the founding of the Long Dynasty it has also been responsible for many of the tasks formerly handled by the Ministry of Rites, such as the organising of state ceremonies, rituals, and sacrifices and overseeing the official registers of the Buddhist and Daoist priesthoods. Revenue. This ministry is responsible for collecting taxes, gathering census data, and handling state revenues. As such it holds the government purse strings, and acts as the two central banks of Long China. The Exterior. This ministry is responsible for the foreign relations of Long China; is such it staffs and runs the (relatively few) embassies Long China maintains abroad. It also conducts foreign espionage and oversees foreign embassies in Long China. War. This ministry is responsible for the running, funding and equipping of the Long Chinese military as well as the appointments, promotions, and demotions of military officers, and the maintenance of military installations, equipment, and weapons. It is also responsible for military training and is responsible for the Long Chinese postal and televox systems, though these are monitored by the Ministry of Justice and the Censorates. Part of the army, that responsible for running labour camps, is not run by the Ministry of War but instead operates under the auspices of the Ministry of Justice. Justice. The ministry responsible for the Long Chinese judicial and penal processes; given the Xìtǒng Zìdòng Fǎ [the System of Automatic Law] under which Long China operates this is a very large ministry. As part of this the Ministry of Justice produces, updates and reviews the publically displayed legal flow charts used across Long China, monitors the surveillance cameras that form a large part of the Long Chinese Panopticon system, maintains records of crimes and punishments, and maintains the network of Secret Police known as the Fǎlǜ De Yǎnjīng [Eyes of the Law] who both ensure that the Xìtǒng Zìdòng Fǎ is being correctly adhered to, and in general acts as a Long Chinese internal security agency. Also under its auspices are those parts of the army related to running labour camps. The Ministry of Justice also provides many (but not all) of the members of the Zīxún Wěiyuánhuì [Consultative Committee] who assess and make changes to the laws of Long China. Because of its origin in the Long Chinese army, the Law was originally enforced and ruled on by the military, with magistrates being military men. In the present day this is not so much the case but there are still strong military-legal links, making Long China be governed by a sort of Legal-Military complex [roughly analogous to the Military-Industrial Complex of the real world]. Progress. The ministry responsible for the physical progress of Long China. As such they control and manage government construction projects, including the building and maintenance of state infrastructure and industry of all kinds and the manufacturing of government equipment. As part of this they manage the employment of workers for temporary service in Ministry projects. The Ministry of Progress is also responsible for the funding and oversight of scientific and technical research of all kinds, the standardization of weights and measures across Long China, and the oversight of the mines and other sources of resources that feed the government-run industries. The Censorates are branches of the Long Chinese government that act as supervisory agencies to the government as a whole, their organisations running parallel to but separate from the Civil Service as a whole. They work to monitor civil servants of all levels and root out corruption of all kinds. Travelling spies from the Two Censors move across Long China, some openly, some in secret, keeping an eye on government activities of all kinds, as well as conducting espionage both within and without Long China. Each Censorate is led by one of the two Imperial Censors. The two Censors are intended to jointly maintain the Long Chinese system and in addition act as a balance to one another and stop each other becoming corrupt; they oversee each other and China as a whole to this end. The residence of the Emperor and the centre of the Long Chinese government is the Forbidden City in Beijing. Since the establishment of the Long Dynasty the government has expanded to take over much of the Imperial City) within which the Forbidden City lies, and even parts of the Inner City that surrounds the Imperial City. All of these retain their historical walls and gates, limiting access to them by the general population. These walls have all been discretely upgraded to modern standards. Civil servants qualify for government work by passing the Civil Service Examinations. These are based on those used in the Qing and earlier dynasties, but much modified from them to account for the needs of the modern world, the Long Chinese Neo-Legalist system and the need to make the best use of the Chinese people. As such women are also allowed to take them and there are many female civil servants in the present day Long Chinese government. At the most basic level, the Examinations qualify one for government service. More specialised examinations then qualify individuals for higher ranks and more specialised work, for example as military officers, priests, magistrates and so on. The results of the examinations can also heavily influence ones employability outside the Long Chinese government. Even within a post, Civil Servants of all levels up to and including the Imperial Censors and the Ministers and Vice Ministers of the Six Ministries must take periodic examinations to ensure they remain qualified for their post. It is as possible for the incompetent to be demoted or punished by unpopular postings or cuts in pay as it is for the competent to be promoted. Overall, the Long Chinese Civil Service is a harsh - but largely fair - meritocracy. The Civil Service Examinations are administered by the Ministry of Personnel but also monitored by the Censorates to ensure fairness. Despite - or perhaps because of - this, most civil servants are Han Chinese, with much smaller numbers from other ethnic groups. Obviously the Long Chinese regime is vastly dependant on its records, and there are vast amounts of these, mostly stored in and around Beijing in a mixture of written and fount-friendly forms. These are processed by a mass of huge and primitive (at least by modern standards) founts assisted by an army of human bureaucrats. As part of the reforms of the Long Chinese system, the recruitment of eunuchs)#China as court officials was banned following the foundation of the Long Dynasty. Partly to eliminate the tensions within the Chinese courts between eunuchs and other officials, this was also done to restrain the power of the Emperor, for whom the eunuchs worked directly in former dynasties. Even though the Long Chinese system is based on the principles of Neo-Legalism, Long China is not a state run by lawyers, or even by judges (a Kritarchy). Instead it is intended to be a state run by the law, under the Rule of Law independent of the people administering that law. Non-Han Chinese citizens of Long China such as Manchus, Koreans and Mongolians, are expected to fully integrate with Han society and adopt its ways. Those that do not are considered to be scofflaws and are likely to be punished as such. The Long Dynasty that rules Long China originated from General Jia Fai, who was of the Han Chinese people. Part of the writings of Shao Xueqin, inspired by the Neo-Roman revival of the nineteenth century, has led to the adoption of a system by which succession to the Emperor is not by blood, but by merit. The Emperor adopts worthy children from across Long China (though in practise mainly from high-ranking families). As such the succession remains technically within the Long Dynasty and the royal family, but hopefully gains the best abilities from all of China. It is considered not that blood will out, but that the best blood will out, which is not inevitably royal blood. And if royal blood is the best, then that should rise in any case. In order to avoid plotting and bloody succession struggles, the successor to the current emperor is kept secret until his death, when it is revealed to the nation in the Emperors Will. The overall premise of the Long Chinese Neo-legalist system is that the law should be a self-sustaining 'machine' independent of the people who implement, enforce and live under it. Essentially the idea to turn the nation into a fount [computer] with the people as its replaceable components and the system, a legal machine, running on. 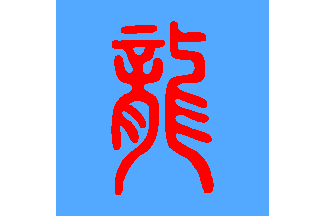 As such, the Long Chinese system is officially known as Xìtǒng Zìdòng Fǎ [the System of Automatic Law], although its detractors refer to it as Mángmù Dì Fǎlǜ Xìtǒng [the System of Mindless Law]. Technically it is often referred to as 'Algorithmic Law' because of its reliance on a strict set of rules. As part of its overall premise, a major part of the legal system of Long China is based on the idea that all Long Chinese should be policemen for all of the rest, in addition to their other employment and civil duties. Being a nosey neighbour is required. People are meant to be busybodies. They are meant to keep an eye on what their neighbours are doing, as their neighbours should be keeping an eye on them. As part of this citizens are required to monitor the government itself as well as companies and other organisations and also report them should they deem it necessary. Everyone is taught the Law as part of their education and they are expected to use it against anyone they see breaking it in their everyday life, regardless of who they are and with no social class or other restrictions on who can accuse who. This education of the entire populace in the law is a difference between Neo-Legalism and to the original Chinese Legalist system, but it is something that is considered necessary to avoid corruption. It has led to the rather odd situation that although Long China is run under a Neo-Legalist system, there are very few actual lawyers in the country. To aid in this, much of Long Chinese law is codified in the form of flow charts and check lists, enabling people to check the status of an action and its circumstances quickly, simply and easily. In all cases the flow chart determines the flow of events; the checklist how and under what circumstances to go from one event to another. These flow charts and check lists are publically displayed all across Long China to help people know and apply the law; no citizen of Long China should ever be more than a minutes walk from a set of the laws. Some legal flow charts end at an outcome of 'consult higher authority'. From the bottom level the ordinary citizens are obliged to consult with the local judges or magistrates, who are also responsible for administering the punishments recommended by lower level legal processes. From here their own flow charts - containing more complex actions and decisions - guide their actions and can also end with 'consult higher authority', so that there are progressively higher level officials up to the very top of the government. To make this at all practical, there is a single unified code of Chinese law, but one in which different subsets of the law apply depending on who the accused is, making it a system in which there can effectively be different laws for different groups of people. To further assist in its practicality, Long Chinese law is as simple as possible so that all people can understand it. Crimes are defined very broadly so that all crimes of a given type definitely fall within the boundaries of the law so as to minimise 'false negatives', where the guilty escape the Law, even though this may lead to some 'false positives', that is, ambiguous actions that can be prosecuted even though they are actually not crimes. As such the Law is not subtle or nuanced, but it is effective. There is no presumption of innocence under Long Chinese (or indeed under older forms of Chinese) law. One unusual feature of Long Chinese law is a number of laws arising from the perceived poverty of the country. Some of these enforce frugality, the reduction of waste and the maximisation of the reuse and recycling of things. Others are strict sumptuary laws introduced with the intention of maintaining social cohesion by preventing displays of excessive wealth. As with other laws, these are enforced by people on other people. However, in addition to this, there are also local laws. These are added (and sometimes repealed) by local people via petitions to the authorities, within the limits of the higher national law. Thus in places (though not everywhere) there are laws at the national, provincial, county and town/village level. A requirement for these local laws is they have to be publically announced to all citizens and visitors to the area (normally via signs) so that visitors are not ignorant of them. The few foreigners in Long China are of course also subject to Long Chinese law, though as many of these are diplomats and so on they may well have diplomatic immunity. People are further encouraged to obey the Law by tax rates in each district being set according to the level of crime in that district. The more crime, the higher the taxes, with more severe crimes leading to higher taxes. Of course, there is a 'baseline' level of tax that even a crime-free district must pay, but again crime-ridden districts can pay considerably more than this. The Emperor personally makes an annual surprise visit to the most virtuous district, when it is announced. He congratulates the people there, and presents the district with a memorial stele to mark the occasion. No appeals are possible under Long Chinese law; once a decision is made then it is final. Beatings; these are used for 'everyday' crimes and use one state-mandated implement, which varies depending on the crime. The severity of the beating varies, with the number of blows with the given implement increasing with the severity of the crime. The type of beating is specified by the local magistrate, while the beating itself is normally carried out by a local or locals selected by lot by the local magistrate. Branding on the face (the cheeks or forehead); this is also used for 'everyday' crimes, but for repeat offenders, when beatings within the limit of the law have not stopped the criminal from re-offending. The brand used to mark the offender consists of a character indicating the crime for which it was administered. As with beatings, the type of branding is specified by the local magistrate, while the branding itself is carried out by randomly selected locals. Fines and/or confiscation of property; this type of punishment is normally administered for monetary or sumptuary crimes, and is carried out by a government official of a level commensurate with the seriousness of the crime. Time in a local labour camp; this sentence is given for more serious crimes which require the prisoner to be separated from the community for the safety of it or themselves, as well as providing a way for them to make reparation through their labour. This is the punishment for first offenses of sedition. The length of time spent in the camp is dependant on the crime, and is a form of 'community service'. In theory all prisoners in the camp are treated equally, though of course, people being people, this is not always the case. These camps are run by the Long Chinese military, with the prisoners being part of a penal regiment, and are all constructed along Panopticon principles. Time in a distant labour camp; this sentence is given for crimes that require the prisoner to be kept more separate from the population as a whole while they make reparations through labour in a form of 'state service'. The crimes for which people are sent to these camps include serious violent or monetary crimes, treason, and persistent seditionists and scofflaws. As for the local camps, the length of time spent in the camp is dependant on the crime, but conditions in these camps are harsher than in the local camps, and casualty rates can be high, so that a long sentence is tantamount to a death sentence. Again, all prisoners are in theory treated equally. Again, these camps are Panopticons run by the military with the prisoners being part of a penal regiment; in this case their penal duties tend to be much harsher than is the case in local labour camps. The existing poverty of the country implies that the best use must be made of its human resources. Not wasting or killing those who can work forms part of this, so that Long China does not have a death penalty as such and prisoners who in former days might have been executed are instead sent to labour camps, so that useful work can be obtained from them. However, being sentenced to most forms of hard labour is effectively equivalent to a death sentence. When a crime is committed and punishment administered by the local people, the law requires that they fill out a form and deliver it to the local magistrate to document what has happened and why. This makes everything above board; otherwise what has happened is vigilante justice, which is very much frowned upon. The forms are fairly simple and quick to fill out, in keeping with the Long Chinese system as a whole, as this increases the chances of people actually using them. Another element of the simplicity of the Law is that it is very inflexible, although not entirely static. It is possible for the law to change. Local areas may add local laws from time to time, but changes to national law occur when some issue is escalated up through the government and judiciary all the way to the top and even then there is still no resolution. At this point the question will normally be passed to a Zīxún Wěiyuánhuì [Consultative Committee] who will assess and make a decision on it. This is then handed back down through the levels of government to its origin, and is possibly promulgated to the nation as a whole, depending on exactly what it is. The same Zīxún Wěiyuánhuì, or sub-groups of it, also write and check the official legal flow charts for errors and omissions, and through them the Law as a whole. Long China is one of the few nations where the ideas of a Panopticon Society are still adhered to. These are an extension of the Neo-Legalist government and the idea of collective responsibility that underlies Long Chinese law. Everyone is expected to watch everyone else as part of their duty as loyal subjects of the Emperor. Secret Police known as the Fǎlǜ De Yǎnjīng [Eyes of the Law] also watch in secret and report those who do not report what they should to the authorities. This encourages the far larger network of ordinary Long Chinese to do their duty as no-one knows who the members of the Fǎlǜ De Yǎnjīng really are. When there is perceived to be a need to do so, they can also draft people for duty as Eyes for some specific task; these draftees are known as Jiào Xiǎo De Yǎnjīng [Lesser Eyes]. Of course, this constant surveillance only stimulates the birth and membership of secret societies and other underground movements, a tendency only limited by the occasional well-publicised arrests, trials and punishments of all members and associates of such groups for their crimes against the Emperor. In addition, the Long Chinese system can be susceptible to corruption, with people conspiring to break the law and get away with it within the large circle of friends and neighbours. However, the larger the conspiracy the more difficult it is to conceal, and in addition to this, discouraging such activity is a large part of the purpose of the Censorates. As part of this they and the Ministry of Justice monitor televox calls and surveillance cameras as well as having spies throughout the land. Needless to say there is a high degree of censorship in Long China. All books are government-approved and owned by the state, being loaned out to the people (often over the long term) from libraries. This had led to the growth of an underground book printing and distribution network [not unlike Samizdat in the real world], which provides texts that include both home-grown ones, and ones written and imported from outside Long China. People are free to move about within Long China with no need for internal passports or other restrictions, though it all costs money, of course; there is a (rather limited) railway network as well roads and river transport. However, it is expected that if someone moves in or goes travelling then their family, friends and neighbours will talk to them about it and find out any whys of it, reporting anything that seems untoward to the authorities. As something that resulted in the death of many women during the Chinese Civil War of the 1860s, and as something that makes women less able to contribute to the Long Chinese economy and society, foot binding is entirely banned in Long China. Despite the best efforts of the Neo-Legalist system, Long China has those who reject its system. In general these people are known as Cháng Wéi Făn Fă Guī Zhĕ [Scofflaws; literally 'those who often violate laws and regulations']; they are a form of national bugbear and are often used as scapegoats for any problems suffered by the state. Effectively considered to the seditionists, many Scofflaws are effectively bandits or organised criminals who live on the fringes of Long Chinese society. Obviously they are hunted down by the government as much as possible, and are normally considered traitors rather than merely disloyal, earning them harsh sentences in labour camps if they are caught and convicted. All education within Long China is provided by government-run schools. No other schools are legally allowed, although extra-curricular learning is not forbidden as long as what is being taught does not go against the tenets of the Long Chinese state. The Long Chinese army is very much the senior service, and is much larger than the other branches of the military. In addition to infantry it makes use of Cossacks [tanks] and hoversleds [hovercraft] within its forces. The Navy cannot project force far beyond the Long Chinese coast, and is a largely defensive force. Because of this it has no skycraft [aircraft] carriers, but does include submarines. The Sky Force is also mainly organised for defence, but does include a significant percentage of long-range strike skycraft based around the borders of the country. All Long Chinese citizens perform compulsory military service for a period of six months after their sixteenth birthday. After this they are subject to conscription in case of military, and sometimes other governmental, need. Beyond conscription, the Long Chinese military is based around a core of volunteers who train conscripts and make up the more professional and technical parts of the Long Chinese Army, Navy and Sky Force. The Long Chinese military (and in particular its army) forms the basis of its law enforcement and penal systems as well as its defence. The rather brute-force approach of the Long Chinese government means that it is not unknown for its military to use extreme measures - including mass bombings and chemical (though no biological) weapons - or human wave tactics in order to achieve its objectives. In terms of military technology, Long China is rather less advanced than many of the nations of the world. However, its large military and willingness to inflict damage and sacrifice lives to achieve its ends helps to make up for this. The different branches of the Long Chinese military all use symbols that incorporate an ancient seal script form of the Chinese character for dragon, which has come to represent the Long Chinese military in general. The Army use a black form of the character on a red field with green bands running up each side. The Navy use a very similar design but with a white character on a red field with azure bands running up each side. The Sky Force uses a red character on a light azure background with a white band up each side; on their skycraft they use the same red character on a square blue background. People are quite free to make money in the Long Chinese system. It is capitalist, but also totalitarian. Central planning was tried in the past, but it failed, leading to famine, industrial and economic stagnation and social unrest. This led to the Emperor and government of the time being seen to have lost the Mandate of Heaven, leading to the 1916 coup in which a new government was installed, but in which the overall Long Chinese system did not change. Part of the outcome of the coup was the restoration of a free (though still highly regulated) market system. Another outcome was the re-legalisation of inheritances, which were banned under the original Long Chinese system, although with heavy death duties still being taken by the government. All banking is through two state owned and monitored banks. These help cut down on tax fraud, in particular as the banks are part of the Ministry of Revenue and so of the Long Chinese tax system. Cashiers and other bank employees are expected to monitor customers money and instigate investigations of anything suspicious, much as neighbours are expected do the same if they notice any suspicious activity. Because of the Long Chinese sumptuary laws, citizens are heavily encouraged to save their money with the Long Chinese banks. These investments are guaranteed to give good returns to those who use them, and the Long Chinese government benefits from the increased funding they provide. A number of factors limit the Long Chinese economy more than is the case for that of other nations. Firstly, the Long Chinese sumptuary laws limits the amount of goods people and families can consume. Secondly, to maintain government control and ensure that all learn what the state decrees, most learning in schools is by rote, which limits innovation. This and the focus on learning the Law which makes up a significant part of the school curriculum limits education in other areas. On the other hand this does mean Long China has a very high literacy rate of nearly 100%. Their relatively low level of technology means that Long China makes use of many manpower-intensive solutions throughout its economy. Despite this, because of the perceived need to not waste the lives of its citizens, Long Chinese industry is relatively safe. Scientific, economic and technological innovation is allowed in Long China. However, all innovations must be reported to representative of the government (normally Magistrates); the Censors also report any innovations they encounter. This reporting allows ownership of new ideas (and responsibility for them!) to be established. Innovations are also fed up to a Consultative Committee who assess them and decide on their fate. 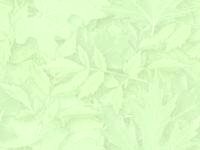 Some things that are initially considered dangerous are banned while being assessed, but most are allowed to continue while assessment occurs. Some things are then banned, but most are given permission to continue and benefit their inventor. Major and heavy industries, at least those that can only be run by large organisations but that are also considered essential to the Long Chinese state, are state owned. These include armaments suppliers, skycraft manufacturers, steel producers, the railway network (though not the train operators), mining companies and so on. However, as with the Censorate and the banks, the government is aware of the possibility or corruption in monopolies. Thus as another way of avoiding the corruption of the past, all the state owned industries come in pairs, and both are given government work in the initial stages of projects [this is a form of duopoly]. Their products (or plans for projects such as railway lines) then compete and the one considered to be the best gets further work on that project. The two members of each duopoly are forbidden from colluding. Likewise practises such as insider trading, even if done indirectly, are very heavily punished. Farming and other industries that although major in terms of the number of people they employ and the amount of material they produce work on a small scale are not duopolies, but simply have lots of small producers. The Long Chinese medical system is run in this manner, subject to oversight from the central government. People have to pay for medical treatment, and as such mandatory health insurance schemes are used across Long China to oblige people to save in case of medical need. Long China has a postal and televox system, both government owned and run as part of the Ministry of War. Employees of both are expected to monitor the letters sent and televox calls made, as with everything else in Long China. Very few ordinary people have their own televox but public televoxes exist; in all cases televoxes are operated on a 'party line)' system, that is, one where many people utilise the same line and it is entirely possible for people to listen in to one another's calls. As part of the overall Long Chinese duopoly system there are two state-run newspapers and two state run broadcasters of radiant [radio] and television programmes. In addition to these are also a number of smaller (and sometimes local) newspapers, and radiant and television stations run as profit-making companies. Even these nominally independent companies are overseen by the Censorates, with their representatives forming part of the editorial staff and the output of the organisation being governed by the Long Chinese sedition laws. There is organised labour in Long China, with people forming what are basically trade unions to protect themselves and their employment. As part of this, groups of workers are able to petition their employers and the authorities for the resolution of disputes or to have rules on safety and so on imposed in much the same way that the inhabitants of an area are able to petition the local authorities for local laws to be put in place. In the same way that it is possible for these local petitions to lead to changes in national law, workers petitions can (and have) also led to changes in national law. Of course, employers also have protection against frivolous petitions, and groups that create such can be punished by the system, as the employees of companies that break the existing laws can be. The Long Chinese state mandates some level of support for those who are unable to support themselves. In general there are locally administered taxes that provide funds for the upkeep of those who cannot, for whatever reason, support themselves. The provision of these funds is, like much else, governed by the flow charts of the Neo-Legalist system and as such can be harsh. However, this system does prevent people starving. Those who cannot support themselves are still expected to work as much as they can, generally for the community that is paying for their support. There is not, however, an organised system of workhouses as there are in some countries, though some places do have dormitories for those who would otherwise be homeless. Long Chinese law and the Neo-Legalist system also applies to the medical field. Everyone is eligible for state-provided medical treatment. Doctors assess patients using a flowchart system with severity of the injury or disease and the importance of the person in society (their position and role, plus the number of their dependants and so on) following which there is an output which is whether the patient should be treated, not treated, or actively euthanized. Again, the whole purpose of this is to remove the need for thought on the part of the doctors. It works less than ideally well as people are people and (sometimes) try to get round the rules. Citizens and the Censorates monitor doctors as they do everything else. The old, the crippled, the mad and those otherwise considered to have no potential to further contribute to the state are among those who are routinely euthanized for 'the good of the nation'. Death by exposure is the normal means of doing this. Those who are so euthanized are honoured and considered worthy of the respect given to all of the dead. Religion forms a significant part of Long Chinese culture. However, as part of the overall self-sufficiency required by the Long Chinese ideology, only those religions that are considered to be traditionally Chinese are permitted, with all other being banned as seditious. Permitted religions include Daoism, Chinese (but not other forms of) Buddhism, Heaven Worship and other traditional beliefs of the different native Chinese cultures. Banned religions include all forms of Christianity, Islam, Judaism, Hinduism, and the native religions of the areas making up Long China that are not historically Chinese, including those of Korea and the indigenous Siberian natives. Of course, all of the banned religions still exist in Long China but are now practised in secret. However, because some religion is permitted, these are very much in a minority. As part of the religious life of Long China, those who are euthanized (for example the old or crippled) are honoured and considered as worthy of respect as any others of the dead. Long Chinese settlements all appear rather drab and uniform. This is an effect of the sumptuary laws that govern ostentation and displays of wealth among the population, so that all buildings are built in a un-ornamented but otherwise traditional Chinese style, based on modern versions of the siheyuan [courtyard residence, consisting of a courtyard surrounded by four buildings]. Adjacent siheyuan are linked by common streets and alleyways into hutongs groups of which themselves form neighbourhoods. Groups of these in turn form a gated and walled or fenced fang, the largest administrative division within a city. Externally, the only thing that really distinguishes the home of a rich person from someone who is poor is its size. Internally, both may be constructed in the same simple style, but the richer house may use higher quality materials and better craftsmanship as a way of subtly displaying the wealth of the owner. Temples and government buildings are less restricted by the sumptuary laws than private buildings, and as such tend to be larger and more ornate and decorated, often in bright colours, though still generally built on the siheyuan pattern. Settlements in the colder parts of Long China often include large swathes of greenhouses that are needed to grow the food required by the population (which is much higher than the population of these areas in the real world); many of these are double- and triple-glazed for improved insulation. To help heat these greenhouses, in many places people (particularly poorer people) live permanently inside them so that each such greenhouse is generally considered to be a hutong. Animals also live in these greenhouse-hutongs, as do animals, and compost and dung heaps are also kept inside to further aid heating. As such many of these greenhouse-hutongs are smelly. Of course these greenhouse- hutongs are very vulnerable to attack, particularly air attack, and threats to them are a part of how the Alyesko-Siberian Federation keeps Long China in check. Clothing styles in Long China are based on traditional Han Chinese clothing. Originally mandated for all non-military employees of the government, the use of these styles of clothing quickly permeated down through all levels of society so that they are now worn by almost everyone, though of course the colours and fabrics vary (within the limits of the sumptuary laws) depending on who the wearer is. Overall, clothing structure is similar for women and men, consisting of ankle-length robes secured by sashes and with voluminous sleeves that are worn over trousers. Those for women have more voluminous sleeves than those for men, and colours and patterns differ between the genders. Hats are worn by both sexes; the type of hat normally indicates the profession and social rank of the wearer. The only exception to this is the Long Chinese military, where uniforms follow an essentially European pattern, for pragmatic reasons. The flag of Long China consists of an azure Chinese dragon, representing spring and thus the rebirth of the Chinese nation that the Long regime intends to bring about. This is coiled in the centre of black circle on a red field that represents the Han people. Down each side of the flag is a column of four of the Chinese character 'Fǎ', meaning Law, representing the legalistic nature of the regime, repeated eight times due to the auspiciousness of that number. 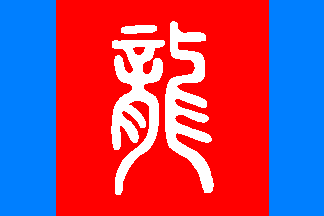 Versions of the Long Chinese flag that are intended to be flown (from flagpoles) are actually two such flags attached back to back to ensure that the dragon and the Fǎ character are always in the correct orientation [much like the flag of Saudi Arabia in the real world is made up of two identical flags joined back-to-back]. The special characters used in this section were obtained using the FileFormat.Info Unicode Character Search. A state that although nominally independent actually can do little without the approval of the European powers, and in particular of France, it is ruled from its capital city of Xian by the Manchu Dynasty. The country is poor and much of its population survive as subsistence farmers. Those who can become migrant labourers who travel to work in the industries of La Chine Du Nord Française [French North China], La Chine Du Sud Française [French South China], the Spanish Territorio de Macao [Macau Territory] and the Nederlandse Formosa en China [Dutch Formosa and China] and send much of the money they earn back to their families at home. Mainly due to the attitudes of the Manchu government, but also because of foreign influence, Manchu China has very little industry of its own and is heavily dependent on outside trade for its manufactured goods, in particular with the European colonies in China, a process that helps to keep Manchu China securely tied to the European powers. Its migrant workers bring in the majority of the income of Manchu China, but are also a constant drain on its population as individuals move abroad to work and never return. This is not helped by the fact that the regime - and the Emperor in particular - is seen to be ruling without the Mandate of Heaven, so that to survive the regime has to be very repressive and rule by fear rather than the respect a regime might wish for. There are a number of groups that seek to reform or overthrow the Manchu government and install a new and better regime, some by peaceful means, others by violence. Some of these are covertly backed by Long China, but many are genuine home-grown movements who truly wish for a better China. Unfortunately very few of these have any foreign support because almost all of them have very strong nationalistic and anti-foreigner views, and wish to expel the foreign puppet masters who control China, along with the European rulers of coastal China. As a side effect if this there are many Nullopticon groups in Manchu China. In addition to this there are a number of groups arising from a specific ethnic or regional group within China who seek to have that group secede from Manchu China and seek its own (and hopefully better) way. There are also a number of groups who believe China or all that matters of China is dead. As such they seek only revenge and destruction against the Manchu and European governments with no regard for themselves or the consequences of the harm they do, as a decentralised and highly dangerous network of nihilist cells. All of this means that Manchu China is constantly wracked by terrorism and other forms of civil strife. In response to this it has a large and powerful - if also corrupt and not terribly efficient - secret police dedicated to ensuring the stability of the regime. There are many internal exile (prison) camps far to the west, in inhospitable areas, filled with the results of their investigations and arrests; this obviously does little to increase the popularity of the regime. 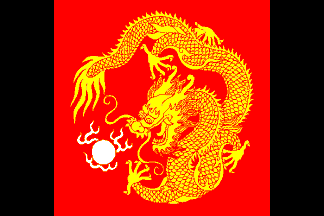 The flag of Manchu China is a yellow Chinese dragon chasing a white dragon pearl on a red field. 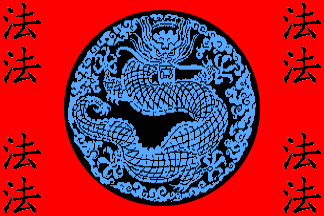 The colours of the dragon and the field represent the Manchu and the Han people respectively, with the yellow Manchu dragon ruling Han China. On each side of the red field is a thick vertical black stripe whose colour represents heaven, and thus the Mandate of Heaven (supposedly) enjoyed by the Emperor. A largely Muslim state in northern India which exists as an entity within the French Empire, centred on the city of the same name, which has a long history of violence and bad feeling between it and the Punjab, which has attempted to conquer the place on several occasions. One of the most powerful states in India, and one of the most closely linked to France. Tipu Sultan of Mysore, the son of Haider Ali, remained a strong ally of the French in India. He used all of the most advanced technology (French and otherwise) in his military as France encouraged him to expand the borders of Mysore, particularly during the Popes War, when the Islamic state of Mysore worked with the French in their unsuccessful attempt to eliminate the Indou [Hindu] religion. Over time the descendants of Tipu Sultan have been educated by the French, in France. They form the Qureishi dynasty, and still rule much of South India for France, although wars with other Indian states have shrunk Mysore from its greatest extent. In particular, during the Economic Collapse, there were several attempts by neighbouring Hindu states to destroy Mysore. Mysore has become one of France's strongest supporters, with a great deal of trade taking place between the two nations. Mysore also has strong links to the OSU. Mysore is the most technologically advanced of the Indian states, and is the home of the majority of the French space programme. This is divided between the Indian mainland (mainly for civilian space activity) and the Maldive Islands, which form part of Mysore and from where most French military space vehicles are launched. The Mysorian elite forces, the Tiger Sepoys, with their tiger-striped uniforms, are some of the more feared troops in the world. The capital of Mysore is the city of the same name. 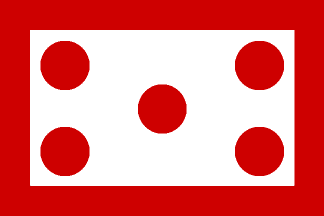 The flag of Mysore consists of a white field with a thick red border and five red discs arranged in a diagonal cross shape on the white field. The Dutch colony in China, it is based on the historical Dutch control of the island of Formosa [Taiwan] between 1624 and 1662. Its capital is the city of Fort Zeelandia [Tainan] on the south-western coast of Formosa. A small, sparsely populated nation on the north coast of Siberia, along with Along with Taymyria it split away from the Russian Empire during the Second Time of Troubles, when ethnic Nenets soldiers of the Russian Empire, fleeing and disgusted with the fighting there, returned home to set up their own homeland in the north, a place where their traditional ways of life could continue. As such Nenetsia became a poor nation of heavily armed nomads, nominally ruled by a military dictatorship from the capital of Dudinka under the leadership of the Poruchik [the Lieutenant]. Nenetsia is bounded to the west by the Yenisei River, and the Nenets people have traded this position into economic benefits through trade with the interior of Siberia, coupled with rather looser trading regulation than either the Russian Empire or the Alyesko-Siberian Federation. In recent years Nenetsia has become more prosperous with the opening up of the North-East Passage due to rising global temperatures, which allows greater sea trade with the outside world. The prosperity of Nenetsia has also greatly increased since the discovery of the rich mineral deposits it harbours. The Nenetsian government signed deals to exploit these with companies of both the Russian Empire and the Alyesko-Siberia Federation to avoid takeover by either of them. However, since then, the companies have come to gradually take over the country, with more and more outsiders immigrating and running Nenetsia more and more for their own convenience so that they are gradually disenfranchising the Nenets in their own land, as well as polluting that land with the waste from their largely unregulated mining operations [making the place not unlike Norilsk in the real world]. Because of this there is a small but growing stream of emigration from Nenetsia, much of it to neighbouring Taymyria. 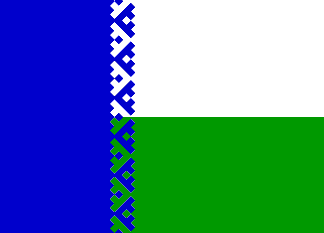 The flag of Nenetsia consists of a wide blue band running up the hoist, which represents the Yenisei River. The remainder of the flag is divided in half horizontally with the green lower half representing the forests and land of Nenetsia which the white upper half represents its snow and ice. The boundary between the blue and the other regions of the flag is patterned in a traditional Nenets design. A separate Himalayan nation, smaller than in the real world due to Thibetan aggression, which exists as an entity within the French Empire, which it joined for protection. Hinduism is the state religion. The services of Ghurkha mercenaries from Nepal are one of the regions most lucrative exports, something which the French encourage as it helps to avoid problems which have arisen in the past when the people of Nepal have disagreed with French policy there. Its capital is the city of Pokhara. A state in eastern India which exists as an entity within the French Empire, it is ruled by the Restored Gajapati dynasty of Orissan Kings. Originally largely Hindu, since the victory of current King Purushottama Gajapati in the succession struggle following the death of his father in 1985, it now officially follows the Nayaa Rasta (New Way) faith of its monarch and his children, although the continuing presence of large numbers of Hindus within the nation leads to occasional religious tension and, sometimes, violence. Its economy is based on a combination of agriculture, particularly the growing of rice, and the mining of its rich mineral resources. Although nominally an absolute monarchy, in reality, like France, the Orissan government consists of a set of linked councils made up of the government officials required for it to do its job. Although the exact posts and their names are not exact matches to the French system, overall its structure and function is analogous to it. In particular it differs from the French government in having no posts related to the military, an effect of being under French suzerainty. The Orissan Interior Ministry handles policing, both overt and covert, and also internal security. The Foreign Ministry is suspected of handling espionage, assassination and the 'quiet war' with other Indian states. The Ministry of Advancement is responsible for Karmic improvement, and as such is responsible for science, health, religion and welfare within Orissa. There is no equivalent of the Maison du Roi. Orissa is the only state whose official faith is Nayaa Rasta to have a government that does not reject outright the idea of using genetic engineering to advance universal Karma. This puts them at odds with much of the rest of the worldwide Nayaa Rasta community. In policies perhaps related to this, since the accession of King Purushottama Gajapati the Orissan government has invested heavily in computing technology, in particular DNA computing technology but also founts generally. These come from the most advanced manufacturers in the world, and particularly from the OSU. Orissa apparently uses this computing technology to help regulate its economy and to analyse trade patterns in order to maximise Orissa's advantage [in a manner not unlike the Chilean Project Cybersyn of the early 1970s in the real world]. This strategy has so far had only limited success. It has, however, limited the amount of money Orissa has available to build and maintain its infrastructure. Because of this, although the people of Orissa do their best to maintain the principles of Nayaa Rasta, this tends to be more along the lines of 'mend and make do' rather than maintaining to a proper standard. This, along with religious tensions, mean that the King and government of Orissa, although considering themselves highly 'Enlightened' are not terribly popular among their people. As has been the case for centuries, the capital of Orissa is the city of Cuttack. Cuttack is traditionally prone to flooding, but in recent years rising sea levels due to global warming means that flooding has become near-permanent in parts of the city. In addition to this the location of the city on what is essentially a large island surrounded by rivers means it is very limited in terms of space and access so that for some years there has been talk of moving the capital elsewhere, though so far little has been done to this end. The official languages of Orissa are Oriya, Hindi and French. The flag of Orissa consists of a blue band, representing the sea, under a light blue field representing the sky. 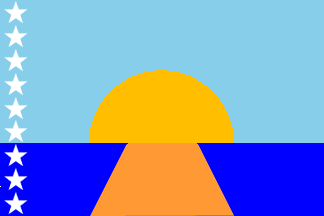 A yellow semicircle representing the rising sun of the new day of Nayaa Rasta rises out of the sea, and leading to it is a saffron path representing Hinduism. On the hoist (flagpole) side of the flag is a column of nine white stars representing the nine Grahas [planets] used in Vedic astrology. A largely Muslim state in northern India which exists as an entity within the French Empire, and the largest agricultural producer of all of the Indian states. As such it is home to a number of world-class agricultural and biological research centres, all run in collaboration with the French. Its capital is the city of Lucknow. A largely agricultural state on the west coast of India. Originally a major part of the Maratha Confederacy, it now exists as an entity within the French Empire. Its capital is the city of Pune. Modern Persia is a rump state, consisting of only the dryer eastern part of the historical nation, the rest of it having been taken by Russia during the Persian War. Because of its very limited options Persia is aligned with France; Russia is out of the question, having already taken half of their country, and Persia historically does not get on with the OSU. Persia is currently ruled by the Pakzad Dynasty, the latest in a series of short-lived Persian dynasties that have ruled the country since the fall of the Qajar Dynasty (which had ruled the country since 1785) in the aftermath of the loss of the west of the country in the Persian War. Like most of its predecessors the Pakzad Dynasty came to power in a bloody military coup. This has made them very unpopular with certain sections of the Persian population. Because of the effort they expend to remain in power this makes the Pakzad government considerably less effective than it might otherwise be, as well as increasingly brutal, dictatorial and unpopular with the Persian population as a whole. Although the Persian government is powerless to re-take the rest of Persia, nonetheless Persia is home to a number of strong Persian nationalist and exile groups who work towards this end. Although they waste significant effort in conflicts among themselves, many conduct raids across the border into Russian Persia, to which the Russians generally respond, and against which the Persian government can do little. This means that many parts of the Russo-Persian border suffer raids and fighting from both sides, to the extent that parts of them suffer near-permanent 'brushfire wars'. As one of the nations at the heart of Shia Islam, the fact that many of the Persian fighters (or terrorists) who work against Russia are Shias and claim the protection of their faith as justification for their actions means that in this world Shia Islam has a reputation as the most extreme form of Islam, particularly when compared to the progressive, moderate form practised in the OSU. The capital city of Persia is the city of Toon [Ferdows] in the north-east of the country. Although devastated by an earthquake in 1968, with French aid it has been rebuilt along modern lines. As a side effect of the Russian takeover of western Persia, there is a large Persian diaspora scattered around the world, particularly into the Indian and Central Asian states, but also down the East African coast, in New Israel [Madasgascar], and even as far afield as the Americas. Centred on the city of the same name, Peshawar exists as an entity within the French Empire as a largely Muslim state that covers much of the mountainous regions of northern India. A Spanish colony in the Far East, ruled by Spain through a system of suzerainty similar to that used in French India. France leases a small number of bases there from the Spanish government. A largely Sikh state in northern India which exists as an entity within the French Empire, known for the martial prowess of its inhabitants. Its capital is the Sikh holy city of Amritsar. It has attempted, unsuccessfully, to conquer all of its neighbours over the years, and for this it is disliked by all of them. A Union enclave on the coast of China, settled as a trading post with the Chinese mainland. A largely Hindu state ruled by the Rajputs which exists as an entity within the French Empire, it incorporates the territory of the rump Mughal Empire, including the city of Delhi. Its capital is the city of Jaipur. A largely Buddhist island state off the south-eastern tip of India which exists as an entity within the French Empire. Religiously tolerant and with significant Muslim and Hindu minorities, Serendib has avoided much of the religious violence that has affected India. Its capital is the city of Colombo. A group of small semi-autonomous kingdoms in the Shan Plateau, inhabited by the Shan people under the aegis of France, they are grouped into the territory of Shan for administrative purposes. They submit to French rule only to avoid conquest by their stronger neighbours of Siam and Annam. A Buddhist state in south-east Asia which is the single most powerful of the Asian states within the French Empire. [Its rulers during the nineteenth were significantly less able than was the case in the real world, and there was much Anglo-French rivalry for Siam to exploit than in the real world, opening the way for a French takeover.] It is also one of the most agriculturally productive states in the French Empire, and uses many advanced farming techniques to maintain this position, and the income it generates. An absolute monarchy, Siam is ruled in a largely benevolent way by its royal family. Its capital is the city of Bangkok. A Muslim state on the north-western coast of India which exists as an entity within the French Empire. It is a significant agricultural producer, but also very rich in petrochemicals, exploitation of which forms the major part of its economy. Its capital is the city of Bhuj. A Union enclave on the coast of western India, owned by the British since 1662. It is a small, sleepy and relatively poor region maintained by the Union for prestige as much as anything else. There is a Union military presence there, and some trade with Khandesh and Peishwa, with which it shares borders, but Surat has never really recovered from the moving of the presidency of the British East India Company to Bombay in 1687, despite Bombay no longer being part of the Union. As with Calcutta the differing laws of the Union and the states of Khandesh and Peishwa means there is a low level of smuggling, and espionage, into and out of Surat, though the Union authorities attempt to keep this to a minimum. A Muslim state in central Asia lying north of Afghanistan, it evolved from the war between and unifications of a number of Central Asian states, including the Emirates of Bokhara and Kokand, during the nineteenth century. It is reasonably rich and prosperous with an economy based on mining, industry and agriculture. Although the vast majority of its people are Muslim, a small minority of Tajiks follow other religions. It is sufficiently close to the warlike regime of Afghanistan and vulnerable to the machinations of France to wish to have external help, but also sufficiently far from sources of that help - and in particular Russia - to have been able to maintain its independence despite that. It and Russia have maintained a mutually beneficial relationship for many decades. Ethnically, the majority of the inhabitants of Tajikistan are Persian, and the official language of the country is a dialect of Persian, though one with significant influences from other central Asian languages and also from Russian and, to some extent, French. Because of its largely Persian nature, the country has become home to a significant number of Persian refugees since the Russian invasion of Persia in 1844 and the subsequent Persian War that lasted until 1851. As such there is a significant undercurrent of feeling in the country against the Tajik alliance with Russia, although most of the population see themselves as Tajik rather than Persians and so are sufficiently pragmatic to accept the help they consider their nation needs to survive. The Tajik head of state is the Emir, who is the latest member of the Arash Dynasty. However, the country itself is a parliamentary democracy, and has been for some ninety years since the succession war of 1909 put a highly liberal Union-educated and Union-influenced Emir on the throne. He turned the emirate into a constitutional monarchy, with a bicameral system consisting of an upper house, the House of Leaders (appointed based on position) and the House of Landowners (whose members are elected). Although this process of democratisation was slow and not without problems, it did eventually succeed and the country remains democratic to the present day, although with continuing issues of corruption and nepotism. Although democratic, Tajikistan does not have universal suffrage and instead has a franchise that is restricted to landowning males aged thirty years and above. The capital of the country is the city of Kulob. Because of its very different history in this world, Tajikistan is considerably larger than in the real world, and with very different borders, so that it incorporates parts of real world Uzbekistan, Turkmenistan, China, Pakistan and Afghanistan. As part of this it also has a larger population than the Tajikistan of the real world. Tajikistan has fought a number of wars with Afghanistan and its other neighbours, sometimes as the aggressor and sometimes as the defender. This also accounts for many of the differences in its borders and so to the Tajikistan of the real world. As a result of this some of the inhabitants of the country have long-standing historical resentments of being part of Tajikistan, and there are a number of secessionist and/or terrorist groups associated with them. A small, sparsely populated nation on the north coast of Siberia, mostly consisting of the Taymyr Peninsula. Along with Nenetsia it split away from the Russian Empire during the Second Time of Troubles, when ethnic Nenets soldiers of the Russian Empire, fleeing and disgusted with the fighting there, returned home to set up their own homeland in the north, a place where their traditional ways of life could continue. Because of disagreements among the Nenets people themselves two Nenets states were the result of this rather than one. As such Taymyria became a poor nation of heavily armed nomads, with few roads, no railways, and only a single skyport [airport] located near to the capital 'city' [more realistically a small town] of Taymyrgrad. The country is nominally ruled by a military dictatorship from Taymyrgrad under the leadership of the Kapitan [the Captain], but is essentially subject only to the law of its tribes. It remains this way to the present day, its lack of mineral resources compared to neighbouring Nenetsia meaning it is much less touched by the outside world. Even so, it has become a place of self-exile for some people from the outside world, as it is very easy to lose or hide oneself there. Despite the poverty of the country, the rulers of Taymyria are rumoured to be extremely rich, due to equally rumoured links to any number of organised crime groups for whom the lawlessness of Taymyria provides a safe haven. In addition as Nenetsia becomes more and more a corporate state more and more Nenets from there are emigrating the Taymyria in an attempt to retain the lives they wish to have, and this is causing friction and violence with the locals. 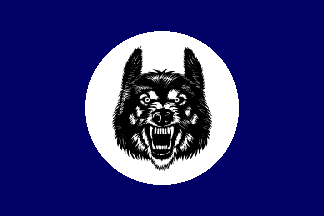 The flag of Taymyria consists of a snarling wolf's head in white circle which is centred on a dark blue field. This represents the nation and the independence and fighting spirit of its people. The Spanish colony in China, it lies on the coast between La Chine Du Nord Française and La Chine Du Sud Française with its capital at the city of Macau. Although originally Portuguese, Macau was transferred to Spain in return for concessions in South America and Africa. Thibet [Tibet] is a brutal Buddhist theocracy ruled by the Dalai and Panchen Lamas. It is a self-isolated nation that remains independent of the great powers of the world and its neighbours, largely due to possessing little that outsiders would wish to take the trouble to gain by force. Thibetan society and government seem to have changed little since medieval times, though in fact much of its current level of brutality arises from attempts by the Thibetan government to prevent Thibet from being 'corrupted' by outside influences. These attempts have driven the Thibetan government to become increasingly brutal and repressive as time passes and the outside world intrudes more and more. Having gone through aggressive periods in its past, Thibet includes the eastern half of real-world Nepal and what is, in the real world, the Indian state of Sikkim. It employs significant numbers of Nepalese Ghurkha mercenaries in its military. The capital of Thibet is the city of Lhasa, from where the Dalai Lama rules. Thibet is also home to the highest mountain in the world, Mont Bolloré [Mount Everest], named (at least, outside Thibet) after the first person to measure its true height. Although there is little contact between Thibet and the outside world, a xenophobia enhanced by the suffering inflicted on Thibet in a number of bioweapon outbreaks, including the Blight, Anthrax and the Pogrom Plague, down the years, some of the more major governments of the world maintain embassies there, and some outside ideas have percolated into Thibet. In particular, a form of Nayaa Rasta has taken root in the country and has come to form the basis of a Thibet-wide movement seeking to advance the country as a whole. It is this in particular that has driven the increasingly brutal attempts to maintain control by the Thibetan government. Thibetan Nayaa Rasta is actually very different to Nayaa Rasta elsewhere. It is focussed mainly on restoring what its followers consider to be the natural order in Thibet. They consider that the current Dalai and Panchen Lamas, rather than being manifestations of the bodhisattva of compassion as is claimed, are usurpers who have stolen these roles from the true Lamas, leading the nation into is current poor state. As such it is considered that they and the government they lead must be overthrown and replaced with the True Lamas. The single Russian colony in India, originally founded by the Danish East India Company, but sold by the Kingdom of Denmark-Norway to Russia in 1925. A state in French India, which exists as an entity within the French Empire, the Royal State of Tripura is significant because it was the home state of Prajesh Badri d'Agartala, the founder of Nayaa Rasta (the New Way), and is one of the minority of Indian states in which Nayaa Rasta is the official religion. Over the years it has used French support to expand greatly beyond its pre-French borders and along the eastern coast of the Bay of Bengal. Its economy is based largely on agriculture, but students of Nayaa Rasta from around the world also provide significant income. The capital of Tripura is the city of Agartala. Agartala has many sites of interest but in particular is famed for its memorial to Prajesh Badri d'Agartala and for the oldest and largest Nayaa Rasta facility in the world which, among other things, also acts as the main temple, hospital and university of Tripura. Tripura is ruled under French suzerainty by the Manikya Dynasty, as it has been since the year 1280 AD. The current ruler of Tripura is King Rajdhar Chhatra Manikya. Although nominally an absolute monarchy, in reality, like France, the Tripuran government consists of a set of linked councils made up of the government officials required for it to do its job. Although the exact posts and their names are not exact matches to the French system, overall its structure and function is analogous to it. In particular it differs from the French government in having no posts related to the military, an effect of being under French suzerainty. The King of Tripura at the time of the founding of Nayaa Rasta, Kalyan Ananta Manikya, was French educated, as many Indian rulers before and since have been. He was also progressive, something considerably rarer. When he learnt about Nayaa Rasta he became interested, and despite opposition from many in Tripura he came to believe that Nayaa Rasta could be a vital way forward for his country. He set up the first Nayaa Rasta centre in Agartala, which proved very sucessful despite significant levels of opposition and trouble. This enabled him to convince the nobility and the rich of Tripura of the need for Nayaa Rasta, which led to its being widely adopted and eventually becoming the official religion of Tripura in 1925. King Kalyan Ananta Manikya was assassinated by a Hindu fanatic in 1928, and although this lead to violence and a succession struggle, it only helped to cement the support for Nayaa Rasta among both the people and government of Tripura. The success of Nayaa Rasta in Tripura also led to its being adopted by Orissa and Assam in later years. In addition to the one in Agartala, there are a great many centres of Nayaa Rasta across Tripura, at least one in every sizeable town. These are facilities set within manicured grounds that combine temples, schools, hospitals and veterinary services. The larger such facilities also provide educational facilities up to a university and post-graduate level. As a side effect of this, the people of Tripura tend to be well educated, and many of them work around the world, often sending money home to their families in Tripura. Because of this, the people of Tripura tend to be richer and have a higher standard of living than those in many of the other Indian states. As part of Nayaa Rasta, Tripura has good transportation links as well as universal state-provided education and a degree of health case. The Tripuran government claims that every home in Tripura has clean running water, electricity, and sewage removal, and although this is not quite true, it is very nearly so. To fund all of this, Tripuran tax levels are high. However, the Tripuran people gain a great deal from their taxes, at least in part due to the very low levels of corruption in the state, and so these are not a point of contention. As another side-effect of the influence of Nayaa Rasta in Tripura, there is a high level of Tripuran civic pride. People do their best to ensure that homes, towns and cities maintain a positive environment in keeping with the tenets of Nayaa Rasta. Thus the state as a whole appears neat, clean and well looked after, a condition that is maintained by the voluntary work that, as part of the tenets of Nayaa Rasta, all citizens are expected to perform for the good of their Karma and that of the universe as a whole. Bengali, Tripuri and French are the three official languages of Tripura. The flag of Tripura is based on the pre-Nayaa Rasta flag of Tripura in that it consists of a rectangle divided vertically into two halves, with that at the hoist being red and that at the fly being a golden yellow colour. 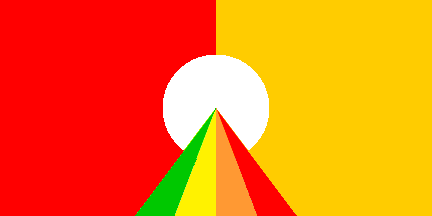 Centred on this is a modified version of the symbol of Nayaa Rasta consisting of a white disc representing the Sun and a four-coloured triangular path leading from the bottom of the flag to the centre of the white disc that represent the paths and elements leading to Nayaa Rasta. The former Chinese territory of Xinjiang, now split off into a separate nation. The dryer, desert half of the Kazakh lands. The flags shown on this page are taken or derived from those shown on the Flags of the World web site. The wolf's head image used in the Taymyria flag comes from Vectorportal.Com, while the Chinese dragon on the flag of Long China comes from Dreamstime.Com and that on the flag of Manchu China comes from Shutterstock.Com. The images are used here without permission but for personal use only and not for profit or commercial gain.